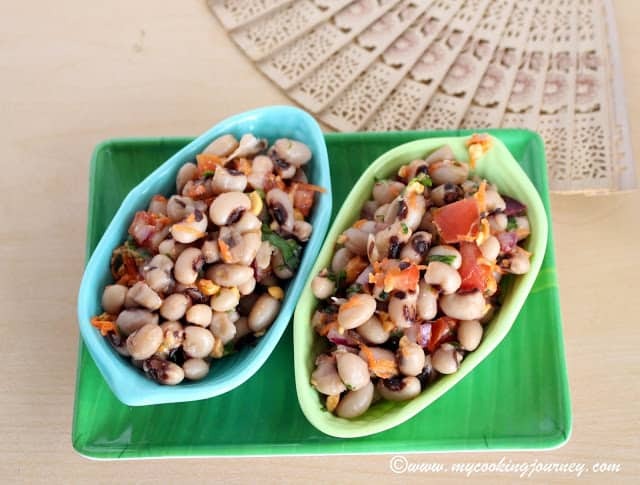 A Nutritious and quick Black-Eyed Peas salad that tastes delicious when served at room temperature or chilled. 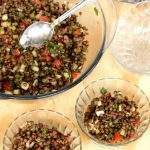 A great Vegan and Gluten free option for summer picnics. 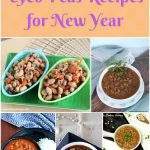 Until about a year or so ago, I have never cooked with black-eyed beans much. 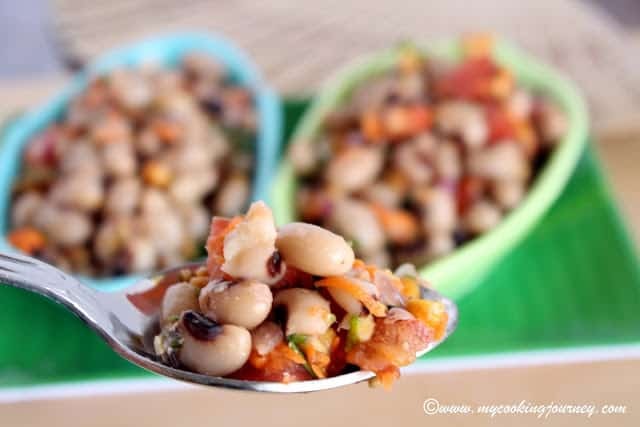 Lately I have been making so many different dishes with it and it has become one of our favorite beans. 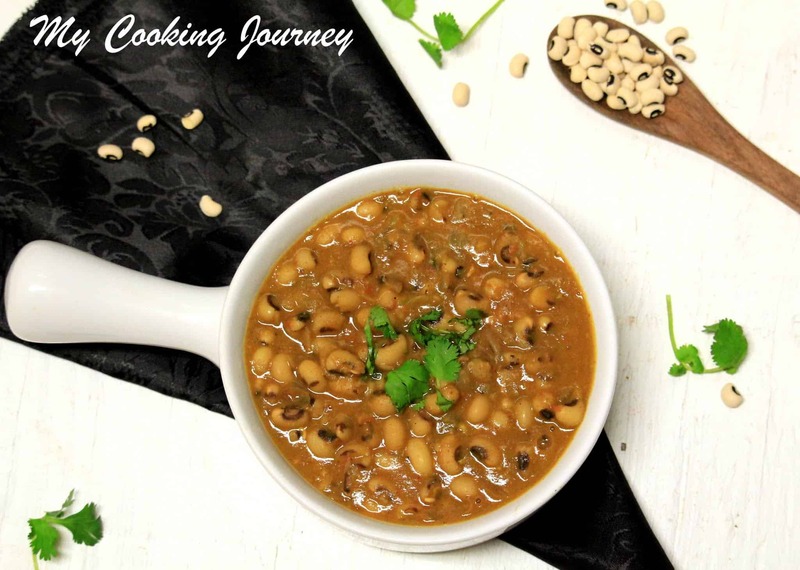 Few things that I really like about it when compared to other beans like chick peas or rajma is that the black-eyed beans cooks really quick. It does not need a lot of soaking time and I can plan a recipe with it in the last minute and still cook it. 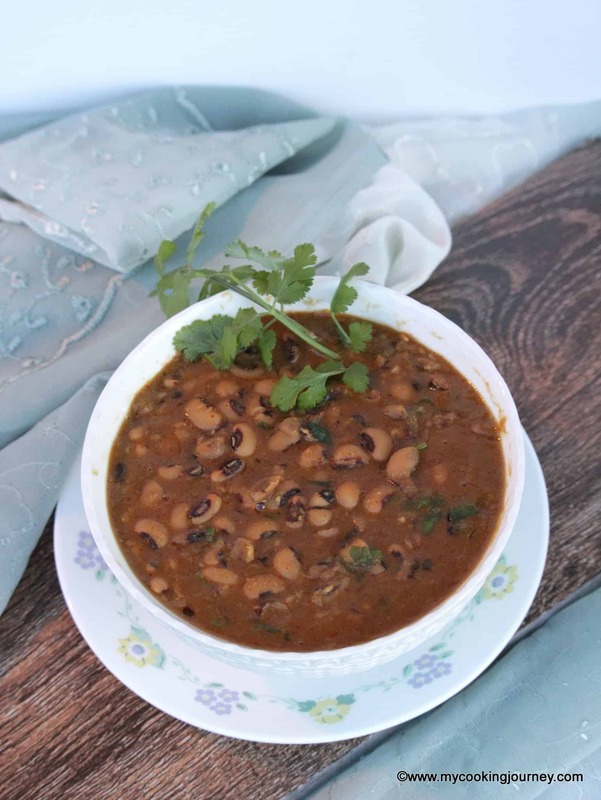 Black-eyed peas or beans belongs to the legume family and are easily available. 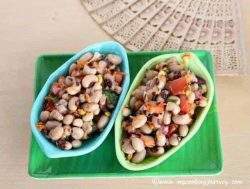 The bean is high is fiber, which is beneficial by keeping the cholesterol levels in control and it also regulates the digestive system. 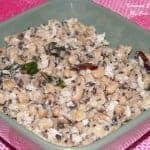 High fiber foods, keeps us feeling fuller for a longer time and hence is beneficial for people who are trying to shed some weight. The bean also has a higher potassium level which helps regulate blood pressure. 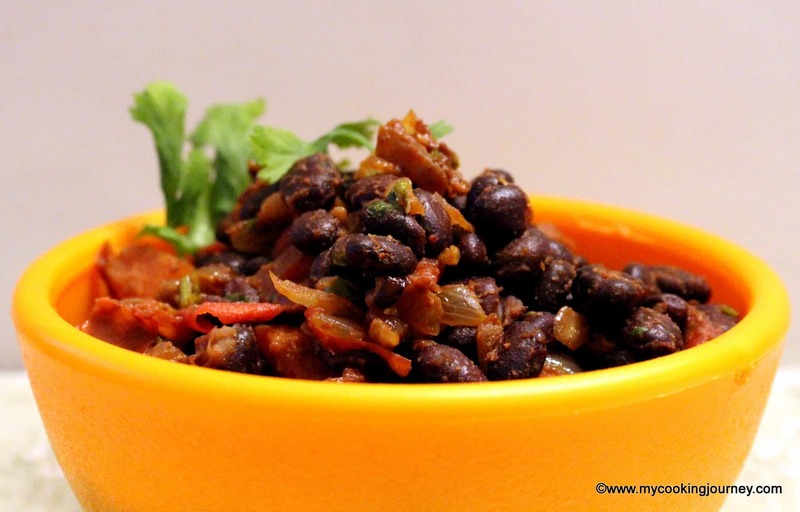 Black-eyed beans are a good source for protein and it especially helps vegetarians gets their daily dose of protein. 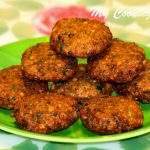 It is also low in fat and calories and can be a good ingredient to include in diet menus. 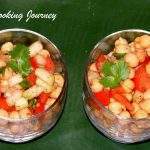 I am doing bookmarked theme for this week’s BM and this recipe is adapted from Nalini’s blog – Nalini’s Kitchen. Her pictures were very captivating and the recipe is very simple to make. I have used whatever ingredients I had in my refrigerator for the salad. Include or exclude any ingredient that you prefer. Soak the beans for about an hour and then cook it in a pressure cooker with enough salt until just soft. 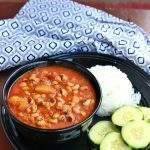 It takes me only one whistle usually to cook the beans. Drain the beans and keep it in the colander. Chop the rest of the ingredients and add it to a bowl. You could also include raw mango, cucumber and bell pepper if preferred in the salad. 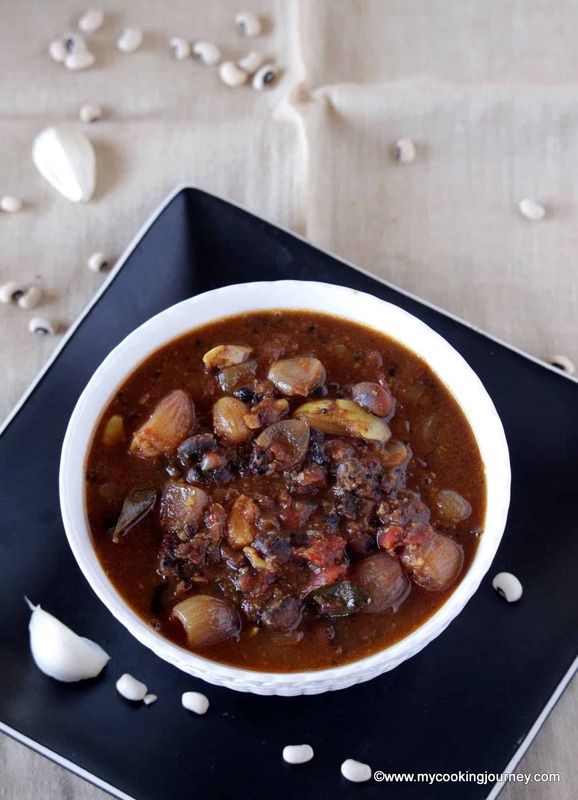 I have not used green chilies as I was serving it to my kids as well. So I increased the amount of pepper slightly. Add the drained beans to the mixture and toss it a few times to combine. Add salt, if needed and lemon juice. Serve as is or chilled. 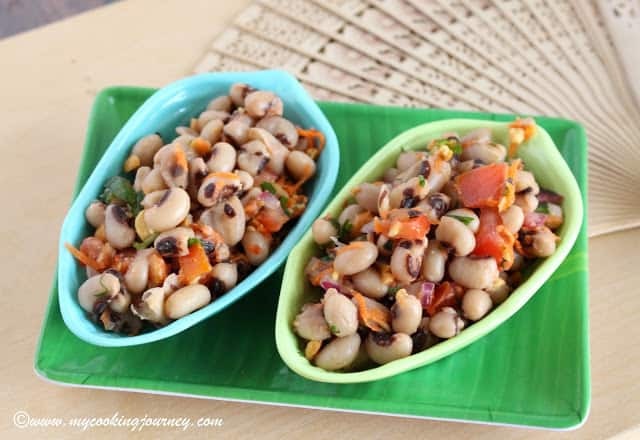 A simple and nutritious Black-Eyed Peas salad, that tastes delicious when served at room temperature or chilled.